A keyword is a term also known as a search word, search phrase, search term or search query. In the SEO world, keywords are those search words that Internet users enter into a search engine to get information about a specific topic or to find something else on the Web. Search engines act on the World Wide Web as librarians in a massive library. If you want to find something on the Internet, you have to provide some keywords to search engines like Bing, Google or Yahoo, so they can understand what you look for. Keywords are essential for all Internet users and for people who do any business online. They are critical to all physically existing businesses even those who are not present on the Internet yet. In SEO world keywords are well-known because indirectly and directly they affect some of the most significant ranking factors. If you have a blog, own an online marketplace a marketing agency or other online business, you have probably heard about Search Engines optimization (SEO) and Search engine result pages(SERPs). Keywords have many things in common with SEO and SERP, which are some of the trnding terms lately. This is one of the reasons why keywords are also viral. When you start a business to make money, you need clients. To have clients, they need to know about your business – a shop, a digital product, or something else. Regardless if your business presence is in the form of a website, app, shop or hotel. You need the people, your potential customers to know about it and be able to find about it. Keywords or terms people use to search and find things online are vital for you as a website owner or business owner because they are some of the keys to success for your business. Search phases, of course, are important for those who are searching too, because using the proper keywords they can find what they are searching for faster. 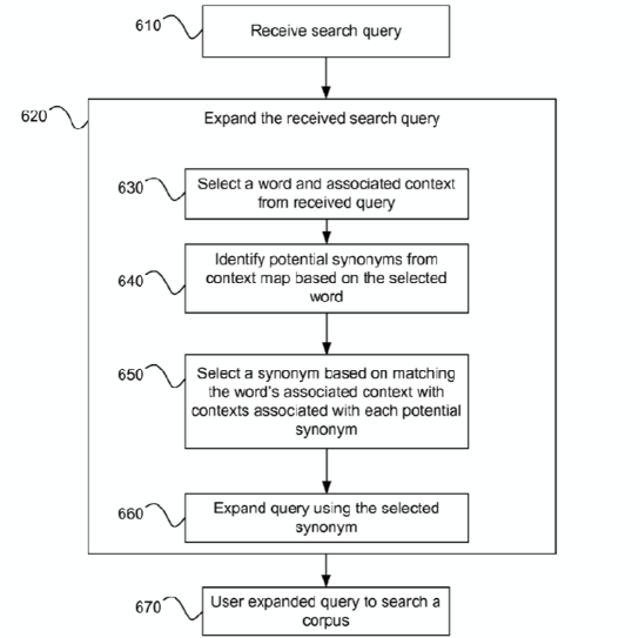 As we’ll see, later the keywords are also crucial for the search engines. Search keywords are important for almost everybody. As I said above, keywords are known as some of the most important ranking factors, and now I’ll explain what I mean. Your business’ online existence is essential. Without it, your potential clients won’t be able to find the goods or services you can provide for them. No online presence means no clients and hence no business. Let’s say you have a jewelry shop and a website which represents your physical jewelry shop online and also offers possibilities for your visitors to buy various types of jewelry online. Let’s also assume that among your best selling pieces of jewelry are those with rose diamonds and your most popular pieces with rose diamonds are the rings- engagement rings and wedding rings. In this case, some of the keywords you would like people to find you with on the Internet probably will include “rings” and “diamonds.” Of course, this makes sense. The keywords essential for your website or online shop for jewelry should consist of these keywords or search terms. In our case “rings” and “diamonds” are search terms consisting of one word only. They represent a category or group of keywords known as short tail keywords. Short tail keywords are search terms which are less specific compared to keywords consisting of more words. In reality when someone who would like to buy a piece of jewelry most probably will not use only “diamond” or only “ring” as a search word. If the user types only “diamonds” or “rings” as a search query in the search engine’s text entry box, he or she will receive billions of results which are not useful, and not relevant. As you can see in the above example for the two search queries, in contrast to the short tail keywords there are other keywords which consist of more than a single word. In our case, the search terms “a diamond ring” or “engagement rings” include more than one word and among the marketers and SEO pros, such keywords are known as long keywords or long tail keywords. As we said above the short tail keywords are search phrases with only one word, and they are less specific compared with the long term keywords. Let’s have a look at one interesting diagram which shows how in real life the short term words differ from the long ones. As per MoZ, this curve illustrates how the monthly search volume (the number of searches per month) of the keywords is related directly with their length. Moreover, the diagram represents the traffic to websites as relation to the length of used for search keywords. The most significant amount of traffic (70%) to websites comes from Long tail keywords. If we use the given practical example for the jewelry business, this is how the short tail keywords and long tail keywords look like. As you can see the short keyword “diamond” consist of a single word in comparison with longer keywords, consisting of more than one word. Keywords are essential for anyone who wants to find something and a key factor for those who want to be found online. The long tail keywords are specific keywords consisting of two or more search words or search terms. The long tail keywords represent the “natural” way of users searching for things on the Internet. We can also say the long tail keywords are a set of keywords people use when searching for something online. With millions of search results on millions of websites, it’s not easy to find what you’re looking for quickly. Therefore, search engines try to judge the contents of sites and present in the first place those which are relevant. Relevant results from a particular search include websites that have information related to the search keywords entered by the users. Here is a diagram that illustrates how Google search engine works. The search engines are using different algorithms to find and compare various content and topics online. Most relevant content on a topic is usally classified by as most useful. As you are aware most useful content is then positioned first in the search engine results (SERPs) after an user starts a search by using keyword(s). In other words, every search engine tries to deliver the most relevant results based on a specific keyword or set of keywords entered by a user. Of the tasks of every site owner, SEO specialist or SEO marketing agency is to take care of website optimization. Part of this optimization, known as on-site optimization is to find and utilize relevant and more specific keywords for the content of website or single web page. This is why you read in many articles about marketing and SEO the short- long tail keywords have an essential role in the process of Search Engines Optimization. Apart from the long tail keywords, there is also another famous group of words which as per many people who dig deeper into the SEO matters claim that is equally important in terms of SEO. These words are known as LSI keywords or Latent Semantic Indexing keywords. Regarding the LSI keywords, I would like to recommend you to read this article by Bill Slawski, which you might find quite interesting. The more specific a search term, the easier it is for Google, Bing, Yahoo or another search engine to get ahead and bring visitors to your homepage. The more specific are the keywords, the more interested are the visitors and more likely is them to become customers or clients. The long keywords (=long tail keywords) are among the main reasons search engines can deliver adequate results to the end users. These results are popular as organic results or organic search results. As I explained, the keywords, in general, are among the most important things for search engines and factors for websites rankings. For this reason, the organic results, long tail keywords, and LSI are o important for marketers, bloggers, companies and everyone who uses the Internet. This is because if you use for your online business short/one-word keywords such as “diamonds”, you might end with many visitors, but not many customers. Marketing is part of every business- big or small. As we all know one of the ways to be found online by your future clientele is advertising. Even if your website is not optimized for the right keywords, still you have good chances for your customers to find you, also if your business is brand new and nobody knows about it. Online advertising comes handy and in the right place if properly done. Still, if you plan to use paid ads for promotiong a business or company a research is required. Such a research includes keywords reseach, required to find the proper wording and keywords for your marketing campaign. In addition incorrectly selected words can bady affect your budget without achieving positive results. If you want to understand why the first place in Google or any other search engine’s result pages matter, see the below results from a research published on the site of SEO Profiler.The results show the relation between ranking position and how many clicks a link from the website receives as an average. The data includes only the sites which are on the first page of the search engine results (the first ten results in SERPs). In short, if your website ranks higher in the SERPs, you get more clicks. As you can see, position number 1 gets well over one-third of all clicks and similar data is collected by six independent sources. Why is it important to be present on the first page of Google? Click through Rate distribution as per ranking positions. As I demonstrated above, to have a real benefit from your online presence your brand or company must be present on the first page of the search results delivered from the search engine. In an ideal world – in the first position, because this will surely bring to you (your online business) visitors. If you can’t manage to get visitors to your website, you don’t even have a chance to earn money, so one way or another you need visitors to your site first. Online advertising and online marketing have one disadvantage. Sometimes – lots of money, but this is life. The paid marketing have one crucial advantage though – you don’t have to bother much for natural (or organic) search results and if your site appears on the first page of SERPs, because it will. If you pay- you will have visitors. Whether these visitors will later become clientele is a question depending on many factors, but without any visitors, there will be no clientele anyway. Taking advantage of the organic search results on another hand means that your site is optimized. This sometimes can involve a lot of resources – labor, time and money. The SEO process(search engine optimization, or optimization for search engines) includes many things and one of the groups with vital importance in SEO as we said are the keywords. Whether you get your visitors by paid advertising or by getting a higher position in organic search results by SEO optimization, keyword research is essential. Suitable Long tail keywords are one of the keys to success and bring the right visitors to your site or particular webpage. The “right” visitors are those who have the highest potential to become your customers. Keyword research in SEO stays for the process of finding and utilizing properly particular search terms as the aim is to increase the website or online business visibility. As final result respectively is expected the number of visitors and potential clients to be improved and the same is valid for the revenue. There are many tools to help with keyword research. Free and paid. We are not going to talk long about the keywords research tools, because it is going to be a long post. For now, I will just mention that among the free tools for keyword research are Google Adwords Keyword Planner, Ubersuggest, Keywords Everywhere and hundreds of others. In the future, we will continue to discuss interesting topics such as Search engines, SEO factors, SERP and other related matters. One of the next interesting topics we’ll go through is about the best free and paid SEO tools for keywords research and which ones worth checking.